Have been seeing Sparrow Hawks a lot lately. One flew in front of the car for ages at bonnet height, as if drawing it along on strings and another flew alongside the driver’s window. A couple of days ago another came and circled and screeched as I visited an amazing cave near here. So i thought I would just put together some quotes and references to Sparrow Hawk as totem/symbol. Had never really seen that much of Sparrow Hawk before. Hawks piercing shriek tears through the air. In its shrill cry lies an important message which represents illumination. 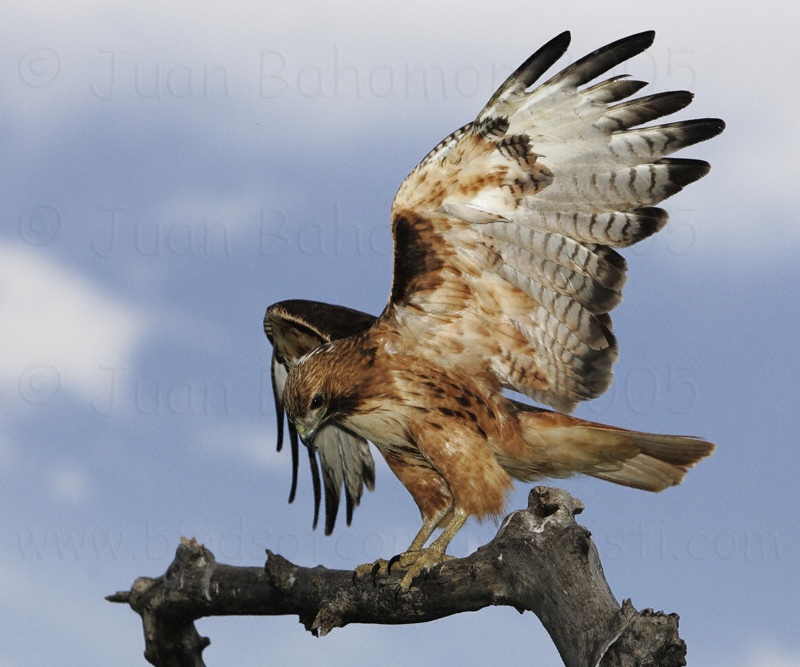 Hawk teaches us to scope out the situation and focus on our talents, trying to draw them out. Hawk learns to see the big picture in order to understand the past, present, and future. Hawk asks us to be observant of surroundings so we won’t get distracted from our path by others. It also reminds us not to get caught up in minor annoyances so we can maintain our inner balance. It is the medicine of hawk that allows us as individuals to rise above our circumstances and live a better life by learning to see a larger picture; not to be caught up in the little distractions and negatives that we allow to bring us down. Hawk tends to be a warning totem, letting those it works with know when NOT to move into a situation as it will bring harm to them and/or others. It is hawk medicine that lets us walk in the worlds of the mundane and the spiritual at the same time, losing nothing in the experience. 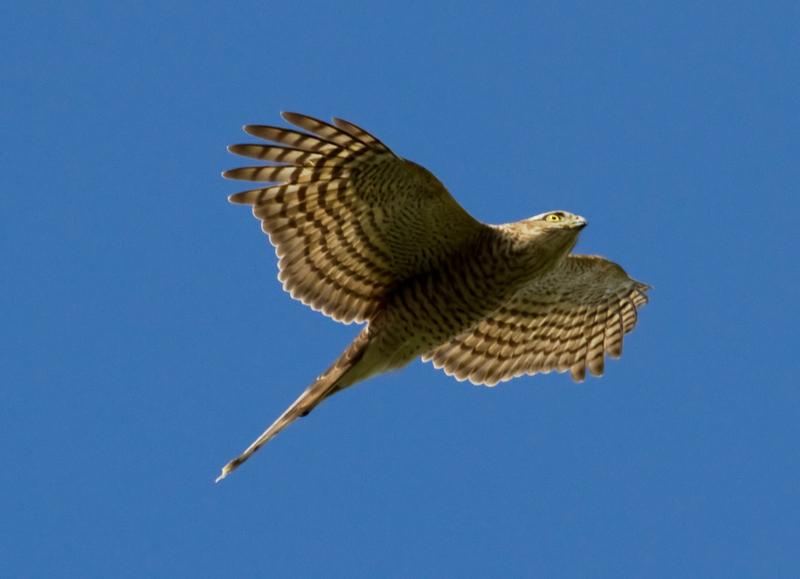 Sparrowhawk – Awareness that opportunities that seem small on the surface have the potential for great growth and expansion over time. This Hawk helps us to see through to the heart of events and synchronicities that are trying to lead us to our greater goals and higher good. So often we ignore the smaller things in life because we can’t see how they could possibly be of much use to us or help us to resolve a problem. Yet when we soar high above to see where they fit in the larger scheme of things, we see how they are a jumping off point that if it were not presented to us and pursued, we could not reach that we are truly seeking. Clear-sightedness; being observant. Far-memory or recalling past lives. A message from Spirit; omens and dreams. Overcoming problems. Taking advantage of an opportunity. The cry of a Hawk in meditation is a warning of upcoming situations that will require boldness and decisiveness. Courage, defense, wisdom, illumination, new life, creativity, truth, experience. Getting a larger overview so you can make a better decision. Warnings of danger. *Visionary power and guardianship. Spring and Fall equinoxes–new moon. Messengers, protectors, visionaries. Keen sight. Stirs the imagination. Dynamic hunting ability. Lead you to your life’s purpose. Primal force of kundalini. Empowerment and fulfillment. Movement toward your soul purpose. Flying to great heights while keeping your feet on the ground. There are likely to be attacks by people who won’t understand you or the varied and different useses of your creative energy. They may attack your ability to soar. Once it shows up it will be with you permanently as it is territorial. Teaches temperance, higher expressions of psychism and vision. Astral projection. Bold expression of primal energies. Beauty and harmony in moderation. Higher levels of consciousness. Rapid development of the psychic energies and balancing those senses. Intensity of physical, emotional, mental, and spiritual forces. Catalyst stimulating new ideas and hope. A need to be open to the new or shows you ways that you may help teach others to do this. Leadership and deliberation and foresight to extend your vision of your life. Caution in how you express yourself. Ability to tear the heads off others. Guard against blazing so brightly and intensely that we get burned out. Inspires to a creative life force. *Messenger of the gods. Teaches to be observant, look at your surroundings, at the obvious in everything that you do. Life is the initiation. The magic can imbue you with the power to overcome a currently stressful or difficult situation. The test is your ability to observe the nuances of power lurking nearby. You are only as powerful as your capacity to perceive, receive, and use your abilities. 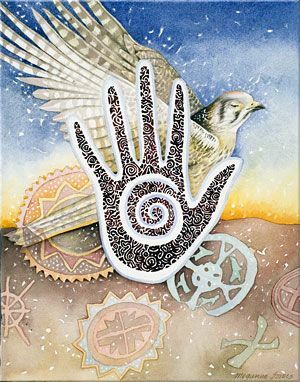 You need an intuitive ability to discern the message carried within the cry of Hawk. The shrillness of Hawk’s call pierces the state of unawareness, and asks you to see the truth. Be aware or beware. It can mark the coming of a battle, the birth of a child, or celebration of counting coup. It is a need to heighten awareness and receive a message. There is great responsibility here in seeing the overall view. When off balance Hawk Medicine people have a tendency to do some emotional coloring that clouds visions and can lead to a crash landing. The ego can clip the wings and leave them grounded. Freedom of flight is a privilege and being a messenger is an honor. The responsibility for delivery is up to you. Let the receiver decide what the message means and don’t tamper. Do not tell others how to think or behave. Take care of your own emotional baggage before you begin receiving omens, visions, or messages for others. 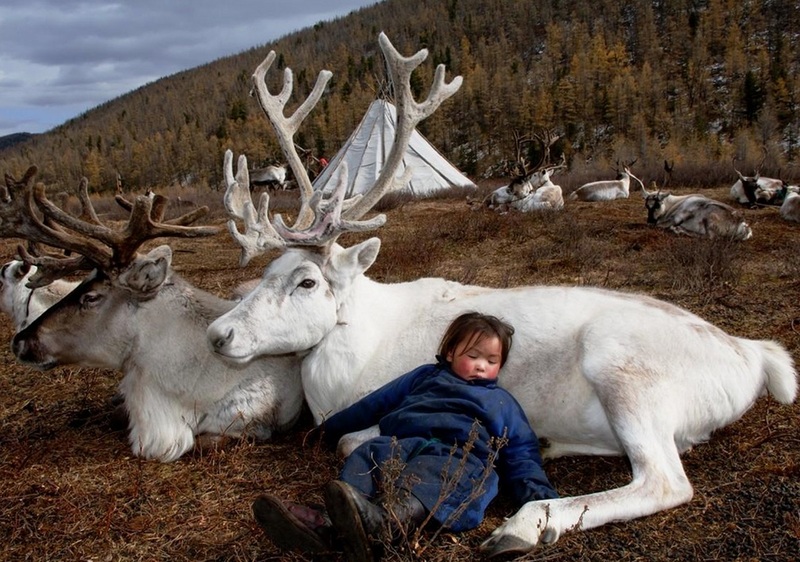 All gifts are equal in the eyes of Spirit. The Celts considered the hawk a messenger between worlds.